Central Government had allocated interim relief fund for Tamil Nadu ockhi cyclone affected areas from National Disaster Relief Fund today. The team will be reviewing the affected areas in Kanyakumari district tomorrow. 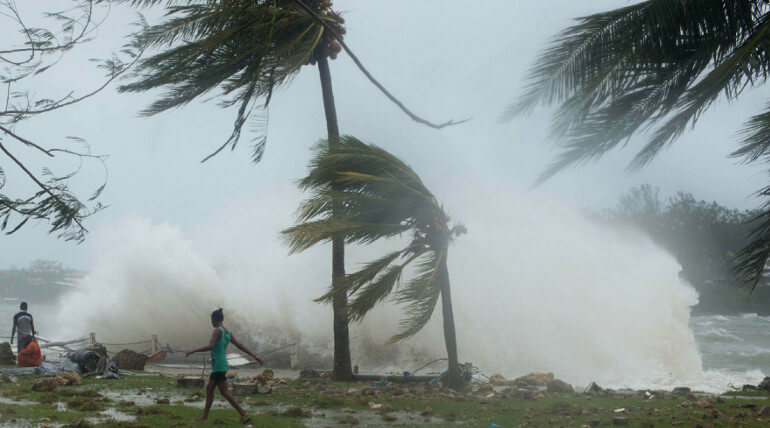 Rs 133 crore was allocated by the centre to Tamil Nadu as cyclone relief fund. Several fishermen who went for fishing in deep sea at Arabian Ocean are still not found by the government. As per recent report from centre, nearly 661 fishermen including 400 fishermen from Tamil Nadu are missing. As per the report, in rescue operation carried out by IAF and other teams 821 fishermen lives are saved and other teams rescued 24 lives so far. Tamil Nadu - 453, Kerala - 362, Lakshadweep - 30 and totally 845 lives were rescued. Some reliable sources reported, nearly 47 fishermen were rescued by the fishermen team few days before after 18 days of cyclone. According to the report on 15th Dec 2017, 400 fishermen from Tamil Nadu and 261 fishermen from Kerala are missing due to ockhi cyclone and improper announcement about the cyclone. Meantime, 20 Indian fishermen repatriated back to India from Sri Lankan custody after their release earlier this week. 12 belongs to Rameshwaram, 4 from Nagai and 4 from Mandapam are expected to reach their home on Wednesday evening.